About The George at Great Oxendon. The George has been an Inn as far back as the 13th century. More recently it was simply classed as a gastro pub, but after 2 years of working around the challenges of such an old building you are presented with a modern up to date facility, retaining the charm and character of its bygone years in the original bar and a bright modern restaurant overlooking the patio and gardens. 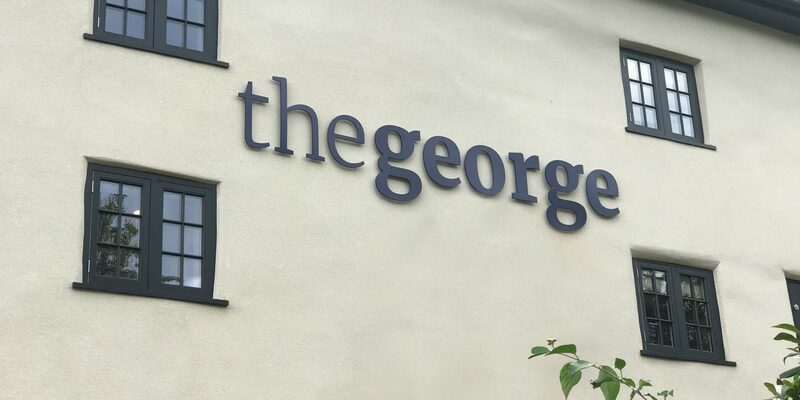 Stephen and Tracy Fitzpatrick look forward to welcoming you to the new look George and as with The Joiners Arms we hope you enjoy our brand of hospitality.